If you're bored with same old, same old scents you really should try this. It's by Alvarez Gómez of Spain. Orchid and White Lily is a floral blend of Orchid, Sea Daffodil and Tuberose, this blend delivers a sensuous personality to this intense fragrance. Good for both sexes, daytime and evening wear. It comes with a spray on applicator so there is no waste, you spray on exactly where you want to smell nice. Made with essential oils and the finest ingredients. 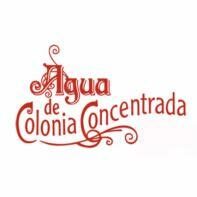 Agua de Colonia Alvarez Gomez date back to 1899 when they were founded in Madrid, Spain as perfumers, they developed their first own brand products in 1912. 80ml / 2.7 fl.oz, spray on application. Comes in a glass bottle and a cardboard Alvarez Gómez branded outer box. Alvarez Gómez 'Flores Mediterráneas' is an exquisite range of Eau de Toilette (EDT) made with essential oils, inspired by the flowers of Mediterranean gardens and woods. Aircraft friendly (80ml) the hand luggage limit is 100ml. The golden rule is don't overdo the spritzing, reapply later if you want to top the scent up. Spritz onto the back of your neck, chest and pulse points - do not apply to freshly shaved skin. Orchid & White Lily is as true Flores Mediterraneas scent, floral (but not overly so), musky and fruity, it's very sophisticated. A blend of essential oils, also contains alcohol denat, aqua (water), parfum (fragrance) and linalool.